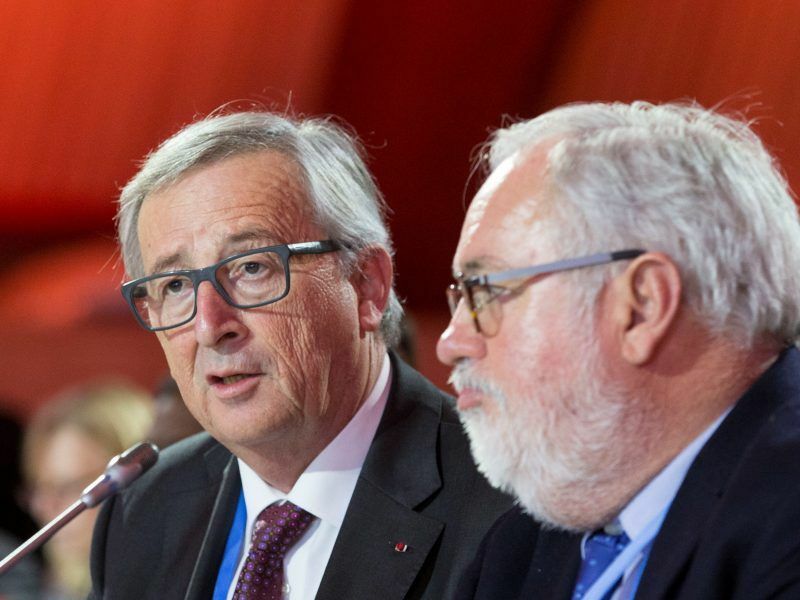 In its draft law presented on Tuesday (13 November), Spain’s socialist government outlines its plans for 2030 and 2050, as EU countries put pen to paper on national climate strategies, legally required by Brussels. 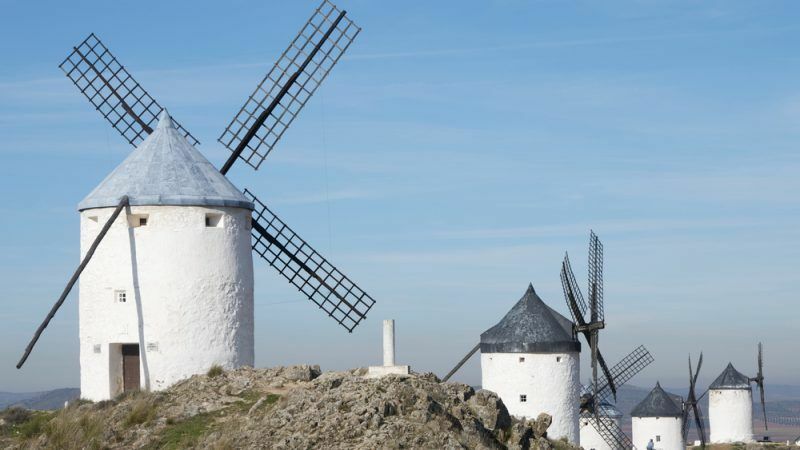 The main goal will see Spain, Europe’s fifth largest economy, source 70% of its electricity from renewables by 2030 ahead of relying 100% on wind, solar, hydropower et al by the turn of mid-century. Industry association SolarPower Europe’s James Watson said “it is exciting to see Spain setting the pace in its commitment to a 100% renewable powered future”, adding that it confirms that “it is possible to power large economies by renewables in the near future”. 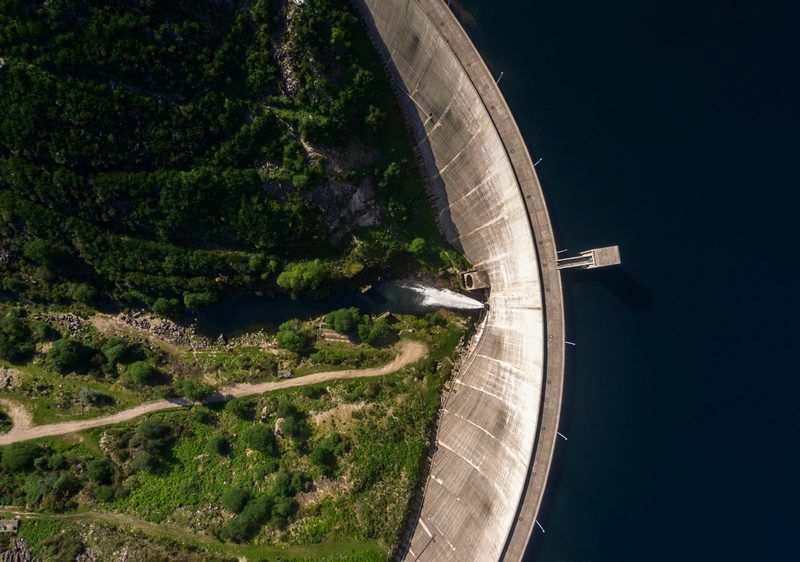 In 2016, the International Energy Agency reported that Spain’s electricity demands are already met mostly by renewable sources, which as a whole make up 23%, closely followed by nuclear power, which provides just over 20%. Greening the electricity sector also means that Spain will aim to reduce its greenhouse gas emissions by at least 20% by 2030 and as much as 90% by 2050. Current levels are 17% over the baseline 1990 levels, so that actually translates into a 37% cut by 2020. The draft law also mentions a low emissions 2050 strategy that should chart the Iberian nation’s way towards a carbon neutral economy. European Climate Foundation CEO Laurence Tubiana said Spain “is showing the European Commission the way”, given that the EU executive is meant to release its own 2050 plans by the end of this month. In order to ween its energy mix off of coal, oil and gas, Spain will also stop issuing exploration licences, ban fracking and scrap new fossil fuel subsidies, with existing investments up for review. At least 20% of the national budget will also be earmarked for climate action. The draft law also reveals that Madrid is keen to go beyond the targets adopted under the EU’s clean energy package, a set of new and updated laws that will govern important aspects of energy and climate policy through the next decade. 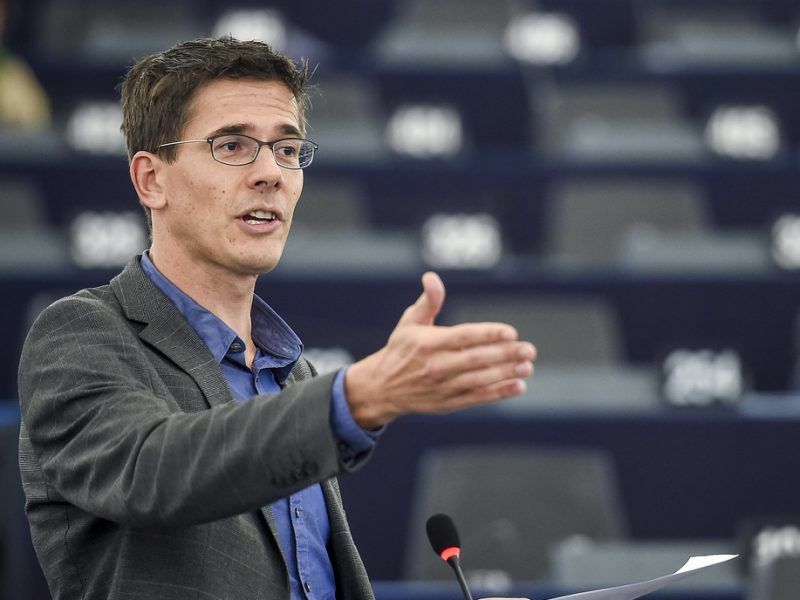 Earlier this year, MEPs, national representatives and Commission officials agreed that member states will have to contribute to an EU-wide target of 32% for renewable energy generation and 32.5% for energy efficiency uptake. But in keeping with its refreshed progressive approach to ecological transition, the draft legislation wants to meet a 35% target for both renewables and energy efficiency. MEPs meeting in Strasbourg this week for the monthly plenary session formally signed off on those freshly-brokered energy rules, as well as the governance regulation, in what is the penultimate step before the council of ministers’ final approval later this year. Under governance rules, EU capitals have to submit national energy and climate plans by 31 December 2019, while member states will be given 18 months to transcribe the energy efficiency law into national legislation. Once member states have issued a final rubberstamp, the new rules will be published in the EU’s official journal and become actual law three days later. A new German report shows that in order to achieve its climate goals, Germany (and presumably other countries, at some point) will need to import significant quantities of zero-carbon gas; being either hydrogen or power-to-x (synthetic methane). If solar in Germany is now reaching €40/MWh (2018), where Spain has double the solar insolation as Germany, this means that theoretically €20/MWh is feasible. Converted to hydrogen at an overall efficiency/capex cost of 25%, this means €25/MWh hydrogen or lower is possible. Factoring in the different revenue streams available for electrolysis; the increasing natural gas import price; further efficiency improvements in solar within a decade and various other issues, it seems likely that Spain could become a significant exporter of hydrogen or power-to-x, as per the report. Developing infrastructure and the fuel cell vehicles to utilise this hydrogen (or power-to-x, potentially) are both likely to require policy focus both in Spain and in importer nations. It seems difficult to imagine anywhere in northern Europe able to produce electricity for gas production at a rate lower than €20/MWh at scale, for export. You make some fair points – I’d question the double the insolation – Spain can do say 1200kWh/kWp compared to Germany’s 950. That said, PV elec in Spain should be able to do 30 – 35Euro/MWh. One question not addressed in the article is – self-generation and consumption. Currently, Spanish legislation predicates against this – the rules being set to favour power companies rather than individuals (or citizen cooperatives). It will be interesting to know if the sociialists in Spain have been “got at” by the usual Spanish energy suspects – deploying their usual reasons as to why Spaniards cannot have some PV on their roof powering A/C in the home (for example). One thing for sure – Spain will not make the 100% without a significant amount of embedded generation. As for hydrogen – that will provide a solution to storage of res elec – by extension fuel cells in the home could run two ways – when coupled to PV. But I guess I’m preaching to the already converted. You’d be surprised. According to the World Energy Council (2016), they have 7GW of solar installed. However, they say that some areas of Spain have a solar irradiance of 2000 kWh per sq metre annually, which is very favorable. They also have 24GW of solar projects under review, with €4 billion in investments over the next 2 years.